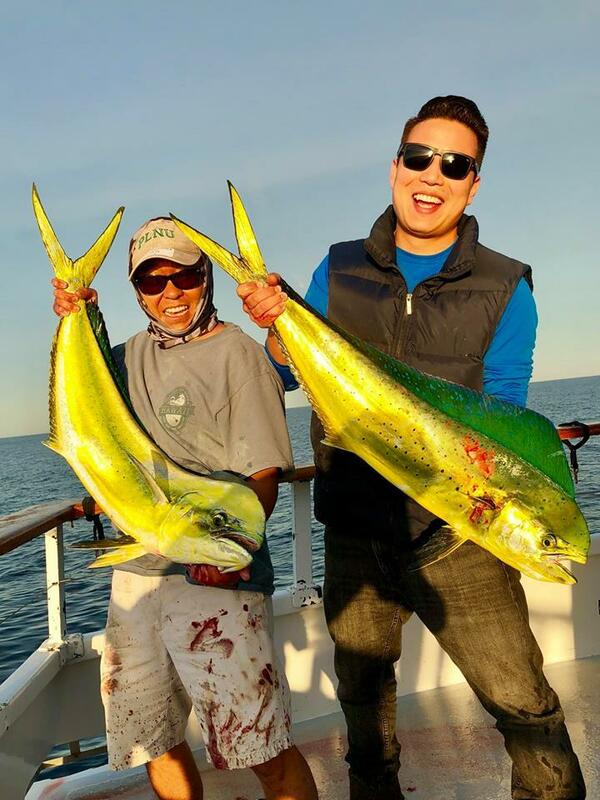 Fish Report - Wow Yellowfin and Dorado! Excellent Yellowfin Tuna fishing today! The Old Glory has called in with 175 Yellowfin tuna, 9 Dorado, 31 Yellowtail, 37 Skipjack tuna! The Relentless has called in with limits of Yellowfin tuna, 22 Dorado, and 73 Yellowtail! The Producer- 150 Yellowfin Tuna, 20 Skipjack and 1 Dorado! Ranger 85 checked in with 27 Bluefin (30-70 pounds), 165 Yellowfin and 10 Dorado. The Ocean Odyssey has 140 Yellowfin tuna! Captain Mike on the Sea Adventure 80 so far have 100 Yellowfin tuna and 15 Dorado! Mustang has 135 Yellowfin tuna, 2 Dorado, 10 Yellowtail and 110 Skipjack! Lobsters were on the crawl again last night the Alicia and Jig Strike caught a combined 51 Lobsters and released 135 Shorts!